Long, hot summer days packed with lots of sunshine, tanning, swimming and nights spent around the bonfire roasting marshmallows, retelling stories and gazing at the stars. Yup, it’s that time of the year every child dreams of and every parent waits for because it’s the ideal chance to unwind and forget about the real world at least for a couple of days. Summer camping is truly a world of its own. 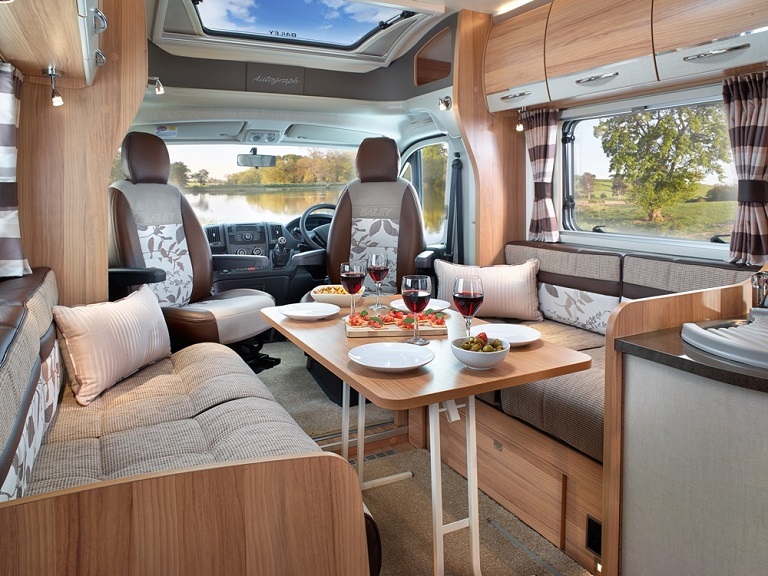 However, it is no secret that caravans are not known for their stylish and well-designed interiors. As a matter of fact, the interior design of most caravan vehicles can be described with a single word – boring. Bland fabrics, dull colours and so uninspiring finishes! So, you’ve set your heart on exploring nature and heading away from home for a couple of days in the pursuit of adventure; great! But must you start and end your days between those dull walls and old, rugged couch? Absolutely not! Go the extra mile and take matters in your hands to turn your RV into your second home that will reflect your great sense of style. May the adventures begin! There is nothing that livens up a small space more than interesting patterns and vivid colours. You don’t necessarily need to have the main pieces of furniture in bold colours, just buy some pillows in bright hues, cover the floor with a fluffy rug and throw a cute patterned blanket over the sofa. Voila, a colourful burst at its finest! 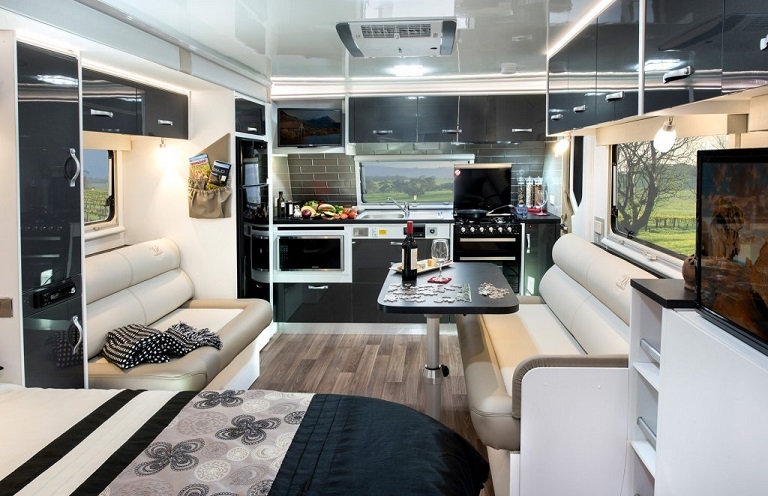 As for the camper furniture, do it the smart way and choose neutral colours that you could combine with basically any décor style that you choose to switch to later. Since serenity and relaxation are the chief motifs why people embark on these journeys, the camper furniture pieces you choose need to be comfortable and large enough to seat all of your family members. And don’t forget the coffee table – you will need a place to set down your drink and kick back.